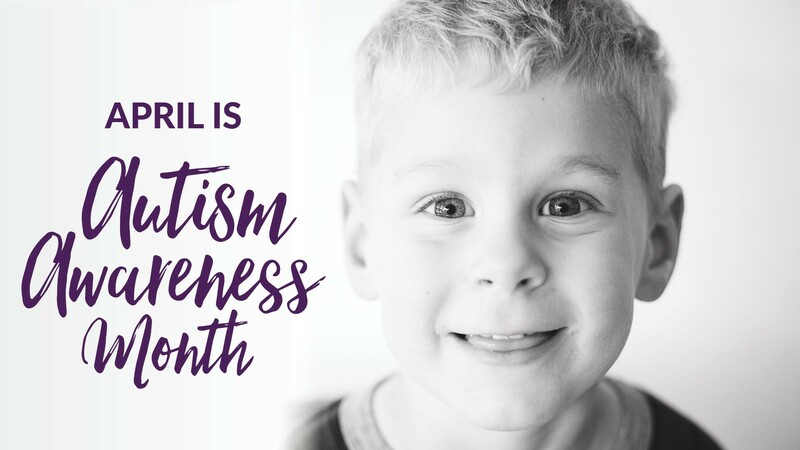 SARRC’s dedicated Autism Awareness Month partners know the importance of promoting inclusion and understanding of autism in communities across Arizona. Thank you for all you do! Check out the amazing fundraisers and events you can take part in to raise awareness and funds for the autism programs, services and research at SARRC. Thank you to each of our partners for being such huge supporters of SARRC during April’s Autism Awareness Month! Round up your purchases to the nearest dollar and your change will benefit SARRC. For donations of $5 or more made during the month of April, Lucille’s will give guests a $10 bonus card good for a return visit between May 1- June 30, 2019 (one per table, please). Lucille’s crafted a special drink in honor of Autism Awareness Month. For each “Rhythm and Blues” drink sold in April, Lucille’s will donate an additional $1! In need of a serious car wash? Raceway Car Wash will be offering two donation options during the month of April. Choose to give a donation at a kiosk or if you choose Raceway’s top car wash package, Raceway will donate 10% of the proceeds back to SARRC! Calling all movie lovers! Studio Movie Grill offers FREE screenings for kids with autism and other special needs. The screenings start at 11 a.m. and are free for kids with autism and their siblings, and adults pay the before-noon ticket pricing. Catch each showing for the month of April below. Give back while grocery shopping! SARRC is partnering with all Bashas’ and Food City stores in Arizona to give customers the opportunity to make a gift to SARRC at check-out. All donations, of any amount, will receive a Raceway Car Wash coupon for half off your next car wash! Thanks to our friends at Univision and ABC15 for their continued support in April! Catch a special Phoenix Sun's pregame interview with basketball guru Chris Louttit on the Fox Sports Network at 6:45 p.m. SARRC's Employment Services team has supported Chris on his employment journey. He will be sharing with viewers a little bit about what he's been up to since his last appearance in 2016 (watch the clip here). This is an interview you won't want to miss! Want a free pizza? 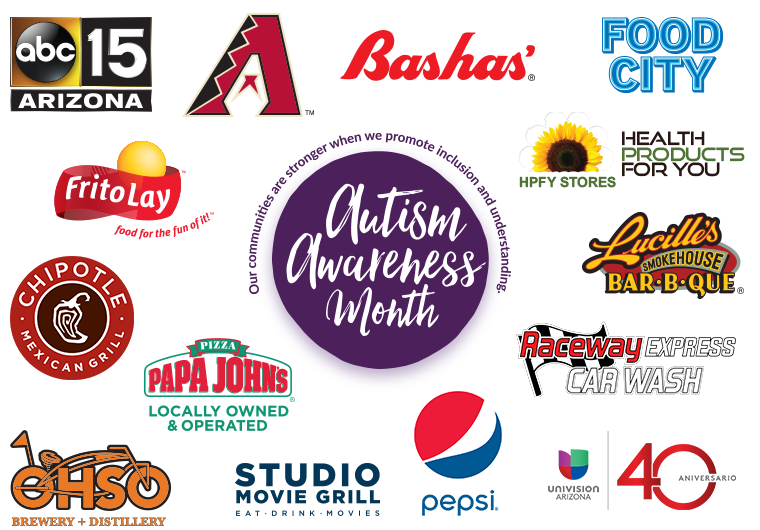 In honor of World Autism Day on April 2, anyone who makes an online donation of $10 or more on SARRC's Arizona Gives Day webpage from 12:00 a.m.-11:59 p.m. will receive a special coupon for a free medium, one-topping Papa John’s pizza. *Valid at participating Phoenix and Phoenix-metro areas locations. Additionally, anyone who uses SARRC’s unique promo code: AutismAZ when ordering Papa John's online, $1 of your order will go to benefit SARRC! Make an online donation to redeem your pizza! Attend the second-to-last Grandparents Group meeting on April 5 at 10 a.m.! Grandparents Group provides a network of support, facilitated discussions, information about autism, and a chance to learn from guest speakers. Don’t worry, beer happy with SARRC and O.H.S.O. Brewery! On Saturday, April 6 from 3-7 p.m., 20% of your bill will come right back to SARRC! Also, purchase the limited-edition J.E.B.S. Berry Fruit Ale brewed by our very own First Place Transition Academy students at O.H.S.O. Brewery Arcadia! J.E.B.S. Berry (named after each initial of the students who brewed the beer) will only be available on April 6 for purchase. Visit the SARRC booth at the Arcadia location at 4900 E Indian School Rd, Phoenix, AZ 85018 for a chance to win fun raffles and learn more about our programs. Cheers! Batter up! Join SARRC and the Arizona Diamondbacks on Friday, April 12 for AZ Diamondbacks Autism Awareness Night! Cheer on the Dbacks as they play against the San Diego Padres starting at 6:40 p.m. When you purchase a ticket through SARRC’s link, $5 will go back to SARRC. Come say hi from 4:30 p.m. though the 5th inning, SARRC will also be onsite with a resource booth in the centerfield, main concourse behind the scoreboard! Health Products For You (HPFY) is an online supplier of affordable health and wellness products in one convenient place. On April 12, HPFY will be donating 5% of all of its sales from the day back to SARRC. Check out their FSA and HSA qualified products, as well as special needs and autism-related products, for you or your loved ones.